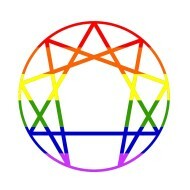 Integrating an Enneagram-Based approach to the Practice of Presence. 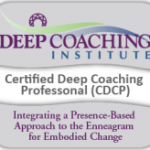 I was drawn to pursue coaching with Brian after attending an Enneagram workshop he presented. The workshop was powerful for me. Brian’s knowledge and engaging facilitation enabled me to clearly identify with my personality type. The workshop gave me insights to how coping strategies of my personality type and past life experiences were impacting my joy and effectiveness in living well. Brian’s wisdom and sensitivity provided a safe space for me to explore past and present issues in my life. As a result of Brian’s coaching sessions and “homework” I have grown to trust my own inner wisdom, gain greater self-awareness and be more present in my relationships. Thank you Brian! Brian worked with my very shy teen who dislikes talking, especially to adults. He reached her such that she felt comfortable enough to talk with him. She surprised herself when she realized their conversation lasted 45 mintues! He worked in confidence with her which calmed some of her anxiety. She came away from their time together “lighter” and telling me that it was helpful and open to future conversations. I highly recommend Brian. Facing a crossroads in my professional and personal life, I turned to Brian. He was able to help me be mindful of the wisdom of my own body to help me discern where life was calling me. He helped me to find my centre and act from there. What I love about Brian is how he helped me to trust myself and my choices. He never told me what to do–he used his abundant training and skills to help me recognize then clear those things that were blocking my path and then he encouraged me to believe in my own ability to know what path to take once I had revealed the ways ahead. I have received life coaching at Be Mindfully Well on different occasions over the past 5 years including marriage preparation, communication and discernment. I always benefit from Brian’s insight and perspective to guide me to determine strategies that work for me. We’ve been so glad to have Brian guide us through the pre-marriage counselling sessions. He was always thoughtful and insightful as he helped us better understand our relationship and how we communicate within the relationship. Brian helped us learn how our strengths may be encouraged and our weaknesses may be supported. The Enneagram was a helpful tool. Learning about where we each fit within the circle gave us new perspectives while providing us with a deeper understanding of how we process our thoughts and feelings about our lives and relationships. Brian was very flexible with our schedule and let us work at our own pace. Thanks for everything Brian! I began working with Brian during a significant career transition and at a time when I was experiencing my highest and lowest moments. Working with Brian has been a gift! He compassionately supported me in exploring some difficult and deeply held beliefs about myself. Beliefs that were holding me back. His insightful questions and knowledge of the enneagram and my personality type helped me to get below the surface of these beliefs where I learned that many weren’t even true. They’d just been with me for so long. This awareness has given me a sense of relief and greater clarity on how to move forward towards my goals. I am forever grateful for this knowledge. Thank you, Brian! Wanting to improve how you approach life? Don’t like how you react to stress? Old patterns of behaviour just don’t work for you any more? Don’t know where to start? Wondering what does it mean to be in the “moment” when you are reliving the past or worrying about the future? Be Mindfully Well is a company for those who want to Be Well. Those who want to intentionally change an aspect of their lives. I, Brian Mitchell-Walker, have extensive training in the dynamics of the Enneagram Personality Type System and use this to explore the motivations behind patterns of behaviour you would like to change. I can help you access your inner wisdom so you can make choices that you feel good about. I offer Life Coaching for individuals, couples, parents and families and Executive Coaching for key leaders, and teams. I have excellent listening skills and a variety of practices that will help improve your self-observation as you connect to your body’s sensed experience, your emotions and thoughts about the issues at hand – helping you to build your capacity to stay with the reality of the moment. In addition I also offer Reiki Treatments as another way to get into the touch of the wisdom of your body. It’s with this intention to balance the responses of our body, heart and mind that puts the mindfully into Be Mindfully Well. Want to learn more before committing to a Coaching process? Contact me through the contact form and arrange a time for me to call you for a free consult – sharing your hopes, concerns and questions about the coaching process. You can also get a taste of how I work by going to one of my workshops on a variety of topics including various aspects of the Enneagram and different dynamics of relationships. Check my Calendar for upcoming workshops or for openings to schedule a workshop in your area. For more information about myself and my different approaches, please click on the links at the top of this page. Coaching is not advice, therapy or counselling. Coaching, just as in athletics, is about team work. Clients will express a desire about something they would like to change in their life and together the client and coach will figure out different practices to address this. Brian works with leaders to explore where they can improve within their role. To learn more click here . . .
Brian facilitates interactive workshops with all age groups in diverse settings. From short introductory workshops to 3 day workshops that go into greater depth-look for public workshops scheduled in different communities or organize a workshop for your audience about the Enneagram, or on different aspects of relationships. Reiki is a healing practice that involves the “light” laying on of hands in a non-intrusive manner on a fully clothed person who is sitting or lying down. For each person the experience is unique. Reiki has been documented to help in the areas of breathing, sleep and digestion, allowing the body to support its own natural healing.